Here you can find a large variety of forceps from delrin or ceramic tipped forceps to intraoccular forceps. 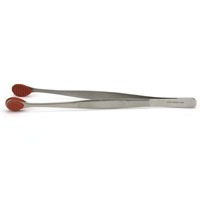 We have rubber tipped, reverse action and vessel clip applying forceps. There are mosquito, alligator and micro crocodile forceps, as well as Russian forceps and ring forceps.